Located in Istanbul (Sultanahmet), Aprilis Gold Hotel is within a 10-minute walk of Grand Bazaar and Hippodrome of Constantinople. 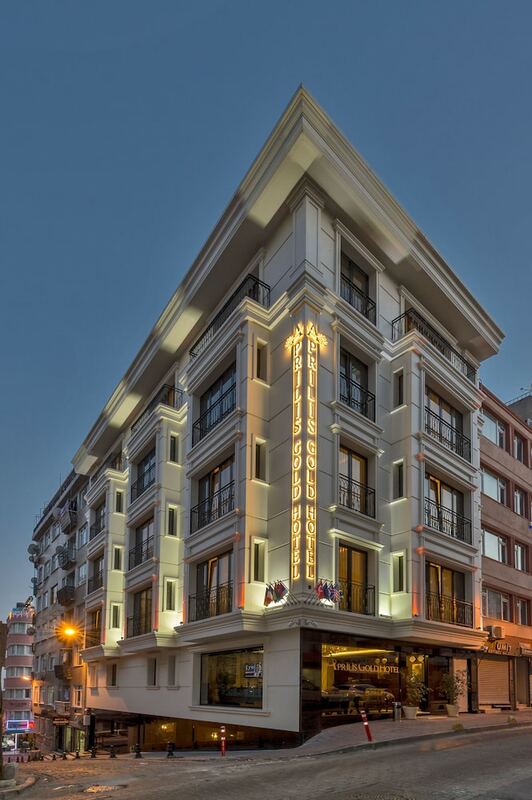 This hotel is 0.5 mi (0.9 km) from Hagia Sophia and 0.5 mi (0.9 km) from Sultanahmet Square. Make yourself at home in one of the 23 air-conditioned rooms featuring minibars and LCD televisions. Complimentary wired and wireless Internet access keeps you connected, and satellite programming provides entertainment. Private bathrooms with showers feature complimentary toiletries and hair dryers. Conveniences include safes and desks, and housekeeping is provided daily. Take advantage of recreation opportunities including a sauna and a fitness center. Additional amenities at this hotel include complimentary wireless Internet access and concierge services. Guests can catch a ride to nearby destinations on the area shuttle (surcharge).